The international Wikimedia Diversity Conference was held Nov. 9 – 10, 2013, in Berlin. 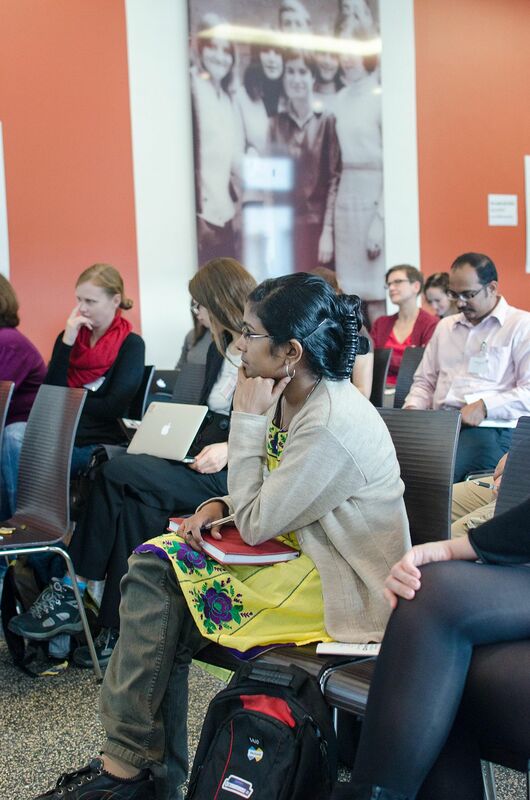 This event focused on increasing gender and geographic diversity among contributors to Wikimedia projects like Wikipedia, Wikimedia Commons, and WikiVoyage. A full report was just posted on the Wikimedia blog today! Ada Initiative Executive Director Valerie Aurora led a session on how to adapt diversity initiatives that worked in other open tech/culture communities to Wikimedia projects. The slides and notes are available online. You can also watch a short video (uncaptioned, in English) on the talk. The main points of the talk were: a summary of what worked, a summary of what didn’t work, and suggestions and discussion for concrete steps going forward. The slides and notes go into greater detail on each of these points. The Ada Initiative is continuing to work with Wikimedia community members to support their implementation of these ideas in their communities. If you’d like to contribute, please contact us at contact@adinitiative.org. We hope to have more to report soon! Wikimedia Diversity Conference by the Ada Initiative is licensed under a Creative Commons Attribution-ShareAlike 4.0 International License. This entry was posted in slider, Speaking engagements on November 25, 2013 by Ada Initiative.